3 things you cannot recover in life: the WORD after it’s said, the MOMENT after it’s missed, and the TIME after it’s wasted. Choose wisely! My wife and I paddled up the west arm of Glacier Bay and back on an eight-day kayak trip in Alaska’s Glacier Bay National Park. We were on our own for the majority of the trip. We went days without seeing other people, but we never felt alone. This trip strengthened the already well-founded bond between us. I took this photo so that we would always have something to remind ourselves of this experience and how much closer we grew during it. This shot was taken in Montreal. I’m documenting the lifestyle and the passion of freerunners. Parkour is not a sport, it is a way of life, a discipline based on respect and physical and mental training. Evolving and always pushing the limits of their body and their mind, these passionate athletes stop at nothing to perfect themselves and help other freerunners to do the same. 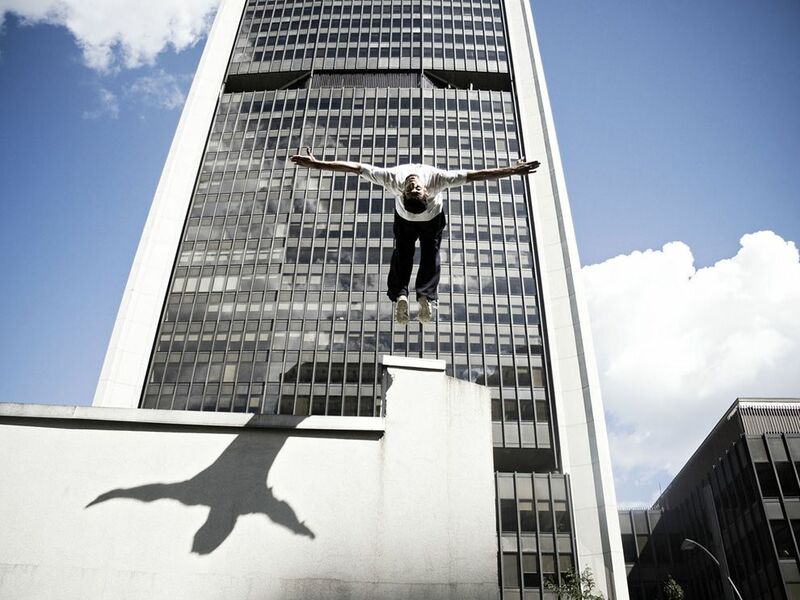 In this shot, my friend, after a lot of training, did a backflip from a four-meter-high building. Climber John “Razor Sharp” Benson weaves through skin-ripping pinnacles. 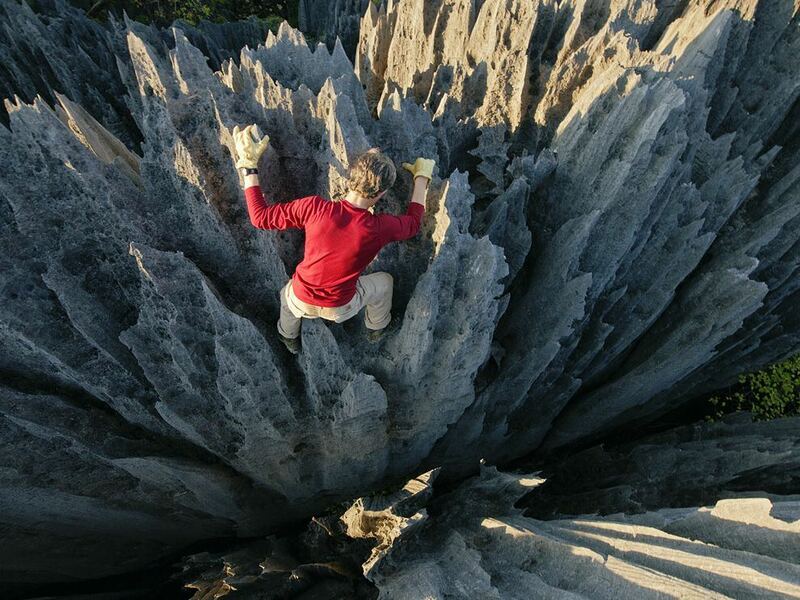 In Malagasy, the formations are called tsingy, meaning “where one cannot walk barefoot.” The terrain resists intrusions from hunters, hungry cattle, and wildfires. 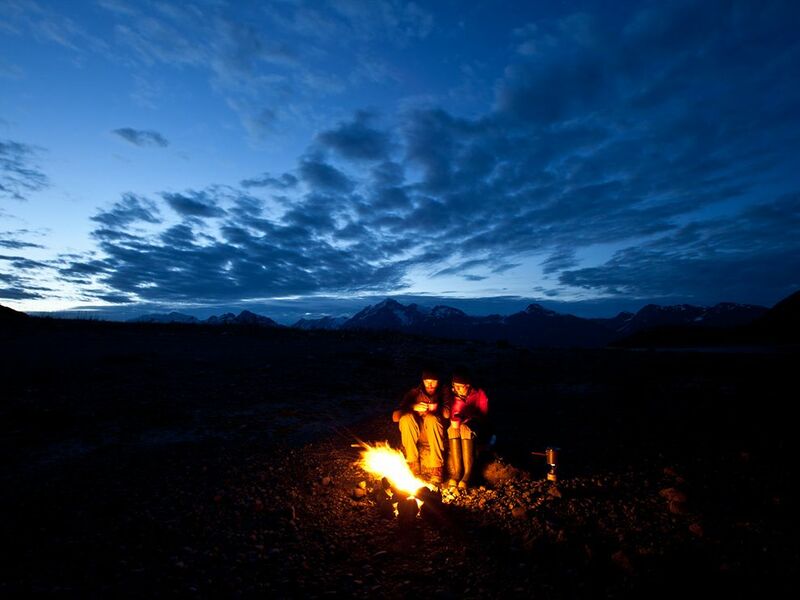 A good place to camp on a chilly evening? 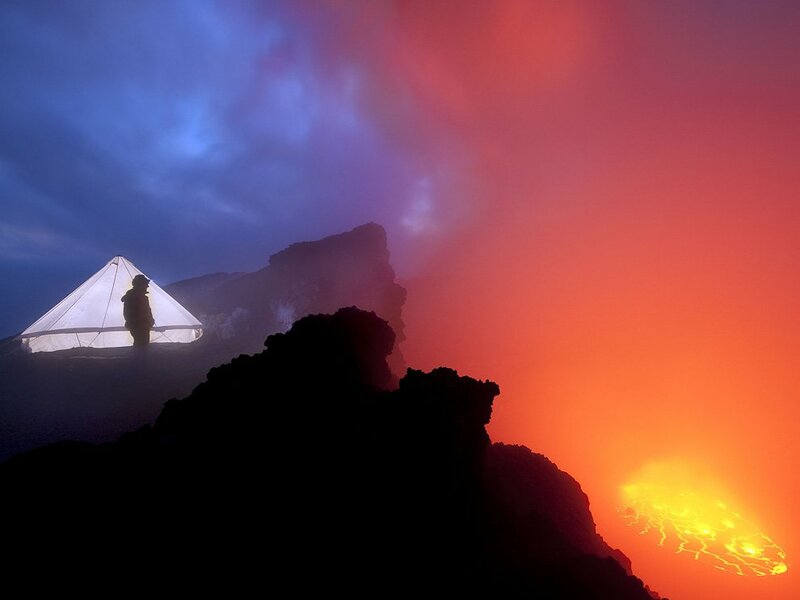 A cooking tent belonging to expedition scientists glows in the twilight on the rim of the Nyiragongo volcano—one of the most active in the world—in the Democratic Republic of the Congo. 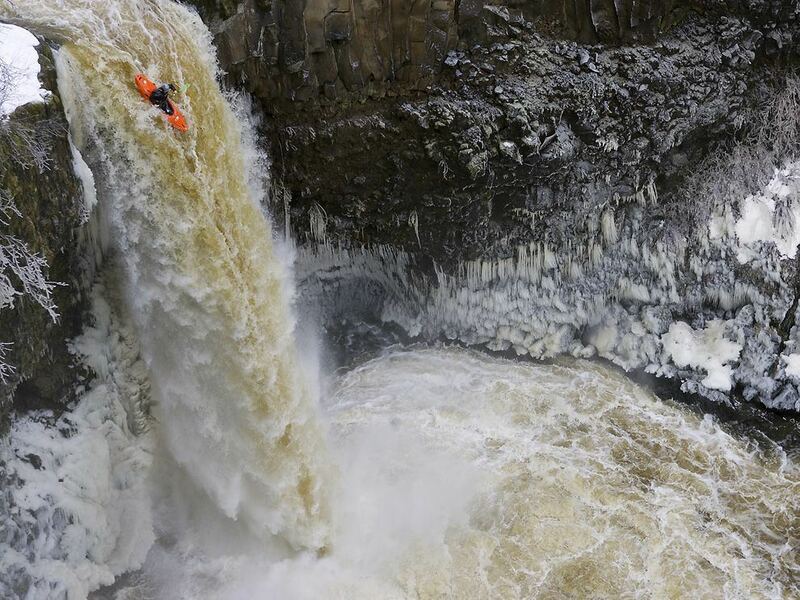 Luke Spencer paddles off Outlet Falls in Washington State.